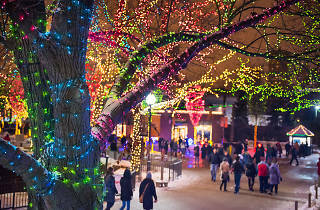 Everyone has their own unique way of celebrating the holidays in Chicago, but nothing feels quite as surreal as an evening spent gazing at shimmering Christmas light displays. 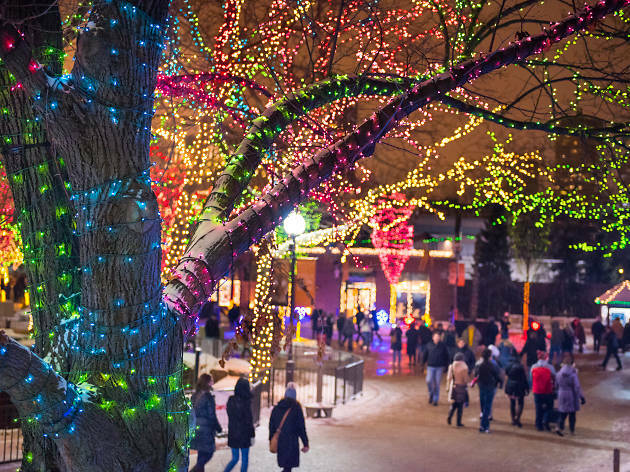 Throughout December (and much of November) the city is filled with strings of twinkling bulbs, from the gigantic display at Lincoln Park Zoo to the handiwork that can be found on houses in Chicago’s most beautiful neighborhoods. Get outside to peep these dazzling light shows before New Year's Eve. Use our guide to find some of the brightest spots in Chicago and the suburbs. Logan Square may be best known as a destination for cocktails and cheffy dinners, but the neighborhood also hosts one of the most festive holiday light displays in all of Chicago. 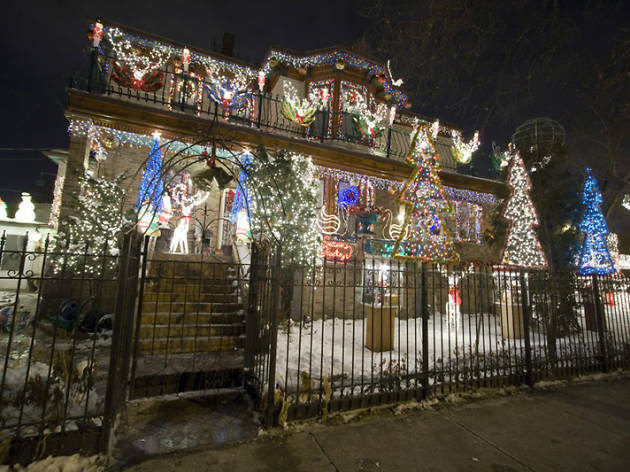 Locals refer to property at 2656 W Logan Boulevard as "the Logan Square Christmas House" because of the over-the-top decorations and twinkling blubs that cover the home during the holidays. Owner Frank Lopez creates wire frames of reindeer, birds and Christmas trees that he festoons with lights—it's a spectacle worth seeking out. 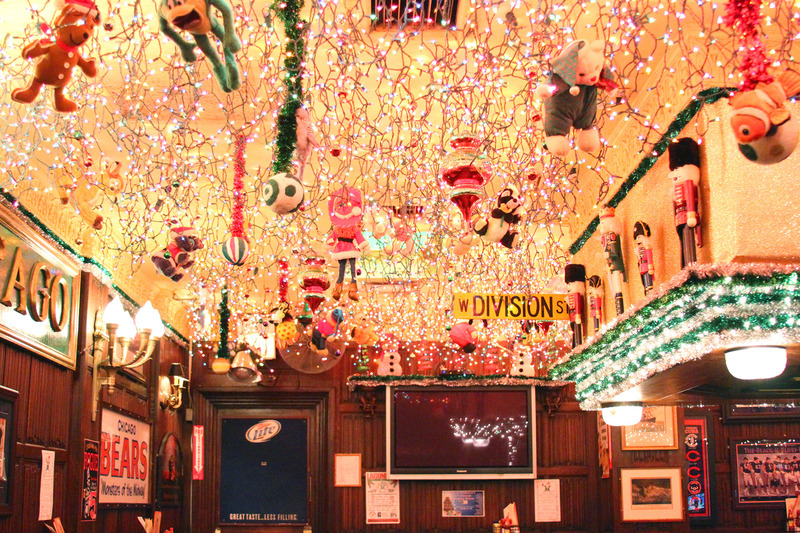 There's nothing subtle about the holiday decor at this Division Street bar. 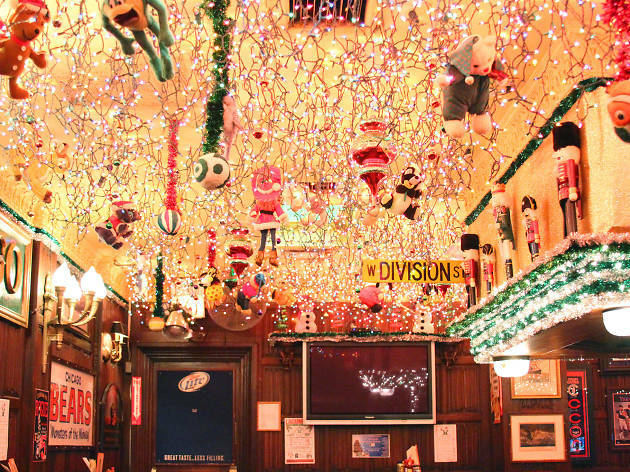 Each year, the owners of Butch McGuire's cover the ceiling with strings of shiny LED lights and set up a toy train that zooms around the room. In December, it's not uncommon to find coworkers and friends gazing upwards to admire the festive display, which coexists with the Irish saloon's collection of antique beer paraphernalia and model ships. There's a $150 cash prize for the top commercial and residential holiday displays in this cozy North Side neighborhood, which means that residents get pretty serious about their decorations. Take a stroll along the side streets that surround the intersection of Damen Avenue and Roscoe Street and you're guaranteed to find some blinding physical manifestations of seasonal spirit. 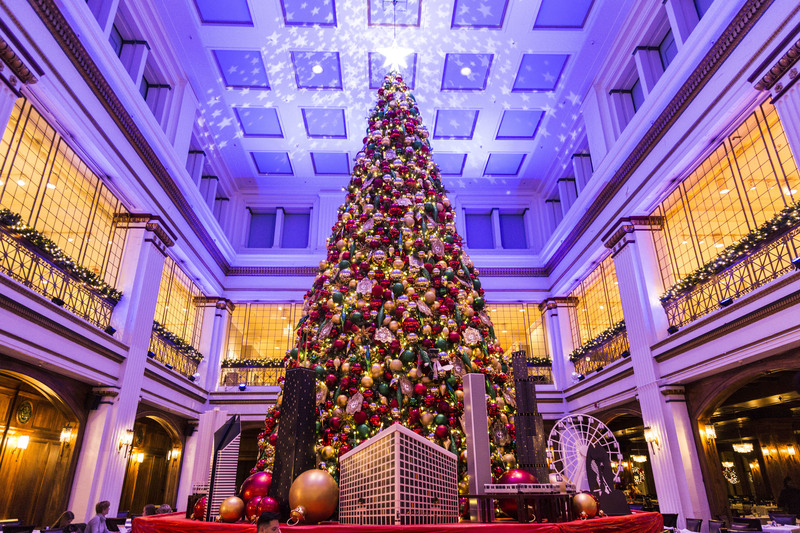 This historic downtown department store takes the holiday season very seriously. 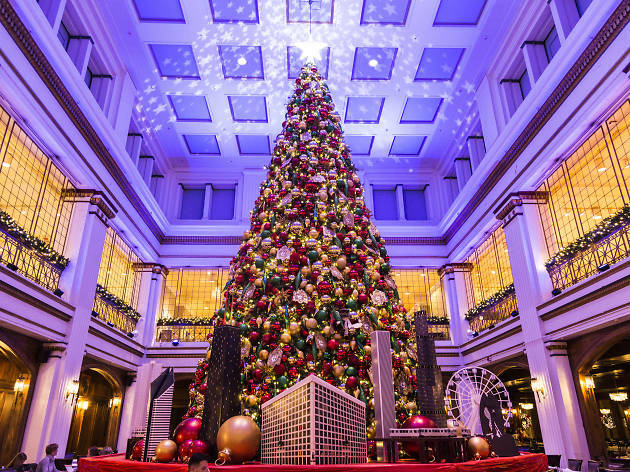 On the seventh floor, hungry visitors can sit down for lunch or dinner in the Walnut Room, which is outfitted with a massive light-strewn Christmas tree for the holiday season. On your way out, be sure to check out the epic window displays along State Street, where you'll find magical, illuminated scenes that the whole family will enjoy.